When in New Orleans, make a side trip to see Oak Alley Plantation in Vacherie, approximately 1h 05 min away. Spend the 22nd (Thu) exploring nature at Jean Lafitte National Historical Park and Preserve. 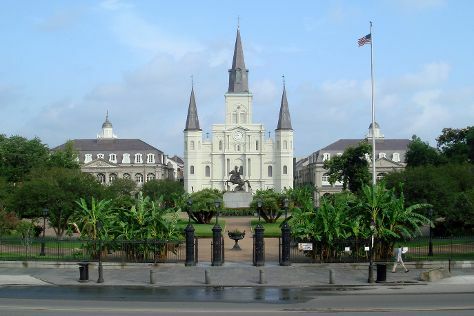 There's still lots to do: wander the streets of Garden District, partake in some friendly competition at Clue Carre - New Orleans' First Live Escape Game, take in the architecture and atmosphere at St. Louis Cathedral, and get to know the fascinating history of Royal Street. To find photos, traveler tips, reviews, and more tourist information, you can read our New Orleans holiday builder . In November, plan for daily highs up to 62°F, and evening lows to 61°F. Cap off your sightseeing on the 23rd (Fri) early enough to travel back home.